Everything moves so quickly these days. You may wonder why your prospects would even consider looking into your company history or what your logo really means. How can you guide them into spending their time on learning your brand story when there are so many more things for them to see? 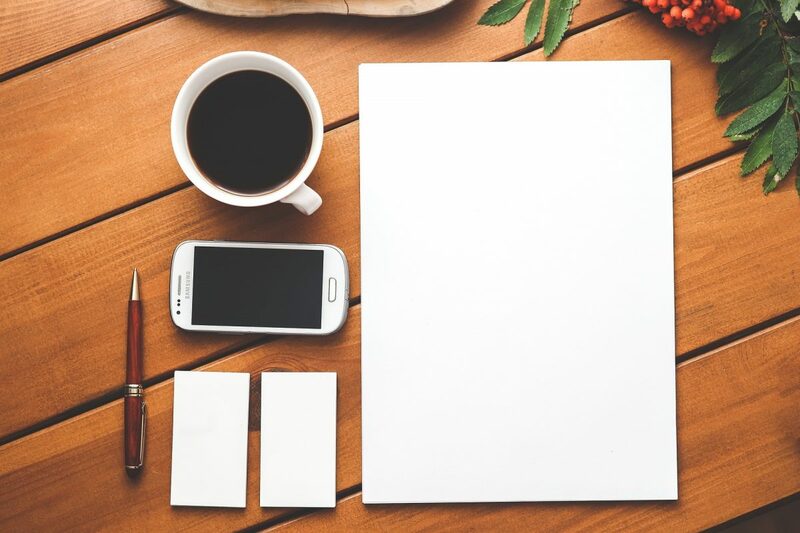 Your brand should be so streamlined and coherent that it conveys what you’re all about at a glance. However, creating a brand isn’t just about designing a logo and producing a colour pallet. Your brand will become the biggest representation of your company that you own. Every aspect of it must benefit your company and drive sales. Your customers want to know your story. This doesn’t mean that they want to know where you grew up or about your life, or even about the company itself. Not right away, at least. Centre your story around the customer and what you can do for them. For example, your ‘About Us’ section of your website should start with the customer. Tell the reader all about how you spotted an issue and made a product to fix it. Tell them about how hard you work to come up with solutions just for them. Make the customer the main character in the story, not you or your company. If it fits in with your company, product or branding, the classic approach of retelling the company’s milestones might work well. For example, if your company focuses on family, talk about the company as a family. If your product is all about being all natural, ethically sourced, cruelty-free, tell the story of the people who made it possible. Creating a timeline as an infographic can work well for certain industries, like design and IT. Use your USPs to your advantage, if you have an appropriate one. If not, stick to making it about the customer. Apptopia’s ‘About’ section on their website clearly starts with the problem that the customer has, as well as how they’ve worked hard to provide a solution. They then emotionally connect with the audience by describing some issues they’ve probably come across, making them the subject of the story. Finally, they describe their initiatives and what they’re doing to help, providing a solution. This structure is effective as it cycles the audience through several emotions such as stress, relief and gratitude. Telling your story is a great way to build better relationships. Your customers will trust your business once they know why you do what you do. A great way to establish trust if you’re a small, friendly business is to be honest with them. If you choose to provide a timeline of your company or the story of how you were founded, it’s great to include places where you fell short. Maybe you struggled to get funding or find affordable offices. If you balance this out with you coming out on top, it makes your business look human and friendly. Making mistakes is something everyone does, so be prepared to let your customers know. However, if you’re looking to create a more professional or upscale brand, it’s best to omit anything that makes you look even slightly bad. Use your best judgement here and think about your clients when crafting your story. What do they want to hear? What will establish trust with them? Each of these will be different depending on the nature of your industry. Telling your story also motivates your employees. Make your story known to them, including every humbling moment. This is how you will get your story known to your customers. How are your staff meant to deliver what you stand for if they have no idea what it is? Your employees should be beaming with your brand’s message and demonstrate your brand values at every opportunity. It’s important for your staff to see that you’re human too. This builds trust, and trust means you have a reliable staff at your disposal, who are fully motivated and know your business inside and out. They can successfully convey all this to your clients which helps with customer relations. By becoming a story-first brand, you can control how customers see you right from the start. A home baking company may have a focus on the history and roots of their business and highlight the family side of it. A high-end brand may want to mention the years of experience at prestigious institutes that the employees have. Or a company might go for something more in the middle. Shape the experience you want your customers to have right from the start and let them know your story at every stage of the buying journey. This allows your customers to start developing an emotional connection to your business before they’ve even seen your products. A great way to make a great first impression is by using user-generated content. This can tie all the elements of your story together in a customer-centred way. A gallery of your product being used by normal people doing normal things has so many benefits. It allows your customer to be the centre of the story. We already know that making the customer the main character is best practice. Why not provide a visual aid to help them imagine themselves in that role? Make it simple and natural for them to do this. 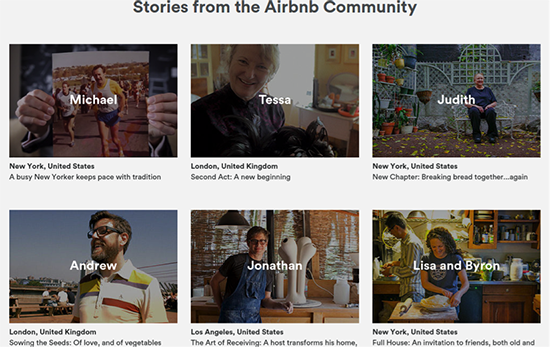 Airbnb does this perfectly, and the title of their ‘Stories’ page is ‘Imagine yourself there’. Fit it around your brand. Taking the example of the home baking company again, how fitting would it be to include some ‘real’ families using your products? Encouraging users to share photos of themselves would also make them feel more connected to your product. A high-end jewellery brand might make more of an effort to include editorial or professional photos, perhaps using beauty bloggers and influencers to simulate candid shots. Again, the visual imagery makes it very easy to imagine themselves as part of your story. Include your staff in this initiative. They’re the face of your brand, after all. Your customers will love behind the scenes footage of your office and see a human side to your business. Images of your staff can fit in with both family branding and high-end branding, and everything in between. Telling your story cements your brand as a ‘real’ business that customers want to buy from. It pulls every aspect of your mission together and lets customers know that they’re at the centre of what you do.